This is the first of a four-part story documenting my somewhat excruciating and wholly uncharted experience developing an indie game for Panasonic's obscure VIERA Connect television app market. 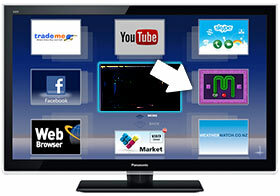 In 2011, I purchased my first SmartTV—a Panasonic TC-P42ST30 Plasma 1080p HDTV. This was the period of time when smart televisions were just starting to take off, with most manufacturers offering integrated WiFi support and a handful of apps from top media companies including Netflix and Amazon. Each brand was doing all that it could to stand out in the crowd of high-definition televisions. Some HDTVs, for instance, came bundled with remote controllers that included slide-out keyboards for easy online interaction. Panasonic observed the app phenomena that was taking the mobile world by storm and evidently wanted a piece of that pie. 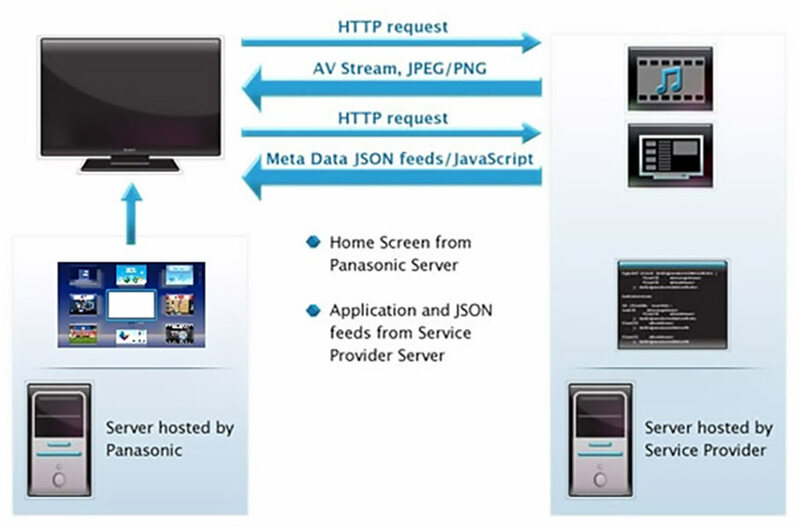 On July 7, 2011, Panasonic announced the opening of its Developer Portal through the VIERA Connect (a.k.a. IPTV) platform: "The new portal allows developers to take advantage of quick response and rich multimedia HD expression capabilities of its VIERA Connect platform." At the end of the year, I noted that their app market still contained less than two dozen apps, virtually all of which were developed by their AAA partners including GameLoft, Netflix, Hulu and Amazon. Having previously dived into the world of mobile app development, I was intrigued by this seemingly groundbreaking new platform, which to my knowledge was the first open app market in the realm of high definition television. API Documentation? That'll Be $129! 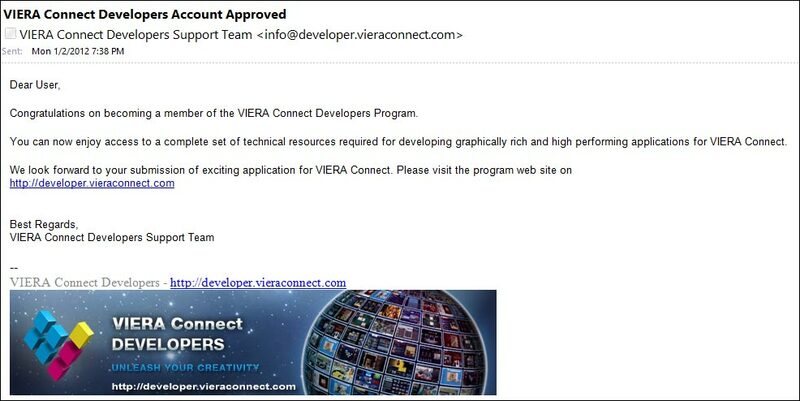 The VIERA Connect technology overview, as advertised on its Developer Network. The first of many frustrations was that in order to even view the API documentation, I had to become a paid member. This contrasted with the other app markets, including those operated by Apple and Google, which provide free access to API documentation and only require paid licenses to publish applications to the respective stores. I was unable to locate even a shed of evidence online about any restrictions pertaining to Panasonic's developer API for independent developers. All I was able to base my initial assessment on were the apps already available on the market. GameLoft in particular had ported several of its popular 3D games to the VIERA Connect market, including a fun racing game known as Asphalt 5. This game featured beautiful and fluid 3D graphics, stored its data on an external SD card, showcased great sound and music and really got me excited about the platform seeing what the television hardware was capable of. So, how much did the annual membership cost for this as-of-then unexplored app platform with a mere 18 apps in the store? Panasonic was asking $129 for standard membership and $599 for premium! The only difference between standard and premium was that "premium Account holders can get additional email support during development and testing and fast track reply and QA process." Yikes! The standard membership cost $30 more than Apple's own iOS development license, for a market that at best would still only support users who possessed a very particular subset of the latest Panasonic televisions (and, down the road, specific Blu-ray players). Still, curiosity consumed me and I bit the bullet and bought the license. The original congratulatory email from Panasonic after forking over $129 for membership. I will get to the API nomenclature in the next part of this postmortem, but first I want to summarize the excruciating process of establishing the proper development workflow. In my years of experience with other targeted platforms including iOS, Android and even Xbox, testing an in-development application was never too difficult of an endeavor. I cannot say the same for VIERA Connect. First, I was instructed to download Panasonic's VIERA Connect developer tool from their TV app market. At the time I joined the developer program, it appeared that their infrastructure was volatile and mostly untested, presumably because I was one of the few who ever bothered to buy an independent developer license. The Panasonic application prompted you to sign-in upon launch, and then attempted to fetch the test app files from a local server to display on the television. 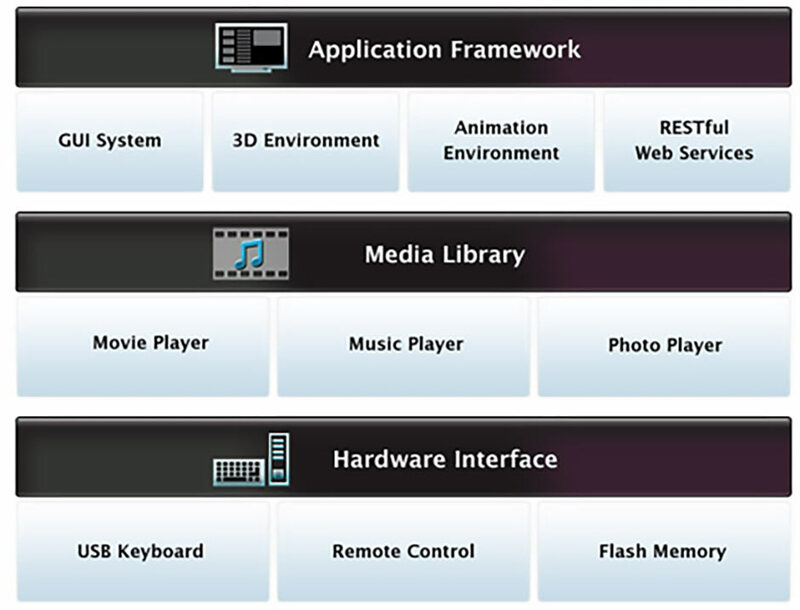 The VIERA Connect server setup overview, as provided by Panasonic. If memory serves me correctly, I ended up reconfiguring my entire internal network so that the PC with Apache running had an IP of 192.168.0.100. I then had to ensure that the app files on the Apache server were explicitly within the 'sdkapp' directory on the root of the server, or that an alias existed to point to another location from that specific URL. Even with all the network and server configurations in place, I had not much luck testing applications through VIERA early on in the process. Edit the source code on the Apache server and save. Launch the Panasonic Developer Tool on the television. Sign-in on the Developer Tool application. Wait for the application files to download onto the television. Exit the Developer Tool application. As it turns out, this local development flow closely matches the final application flow after it has been published to the VIERA market. Each third party developer is required to host the final app on their own server space and domain. 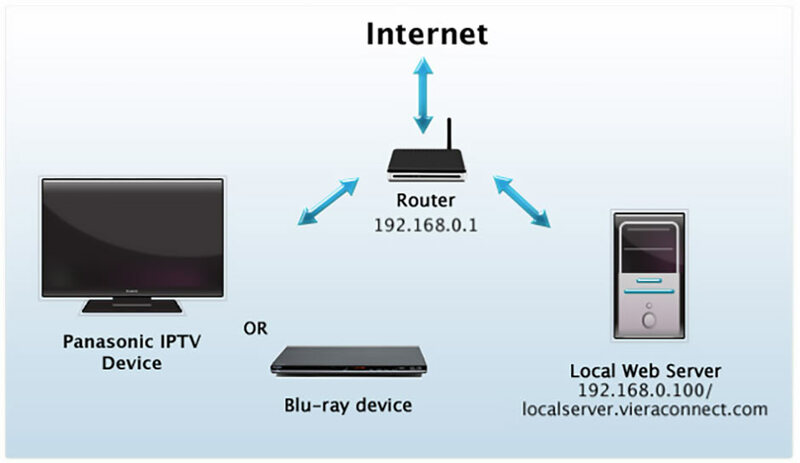 Therefore, the self-described "Cloud-based IPTV service" for serving up apps through the Panasonic TV rests in the full responsibility of the third party developer and whatever server they are using. While this makes logical sense for media streaming applications, I originally held the assumption that simple standalone apps by third parties would be hosted in the confines of Panasonic's own "cloud"for quality control and to ensure availability. The VIERA Connect server communication overview. In the next installment of this postmortem, I will detail the extreme limitations of the programming API when developing for VIERA Connect as a third party—a far cry from what I was lead to believe before signing up and the opposite of what the partner apps were provided with.